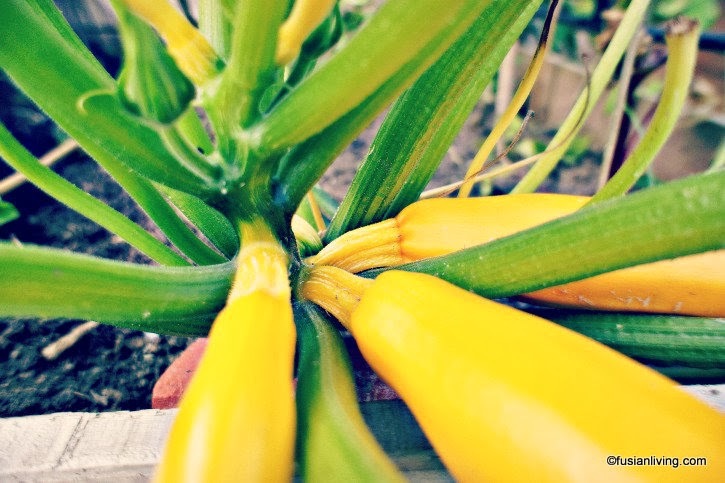 Growing Courgettes in the Summer Rain... | Grow Your Own Veg Blog. Gardening and Food Blog. It's late August and the light pitter patter of summer rain has by now, become a familiar sound. Outside, plump, juicy courgettes await us in the kitchen garden. They are ready for picking, and are a lovely deep yellow colour, almost gold when the sun is about to set and the rays are low. I can't help but feel proud of myself; it is rewarding to think that I am able to harvest whole courgettes from a plant, that just a few months ago, was but a mere seed in the palm of my hand. 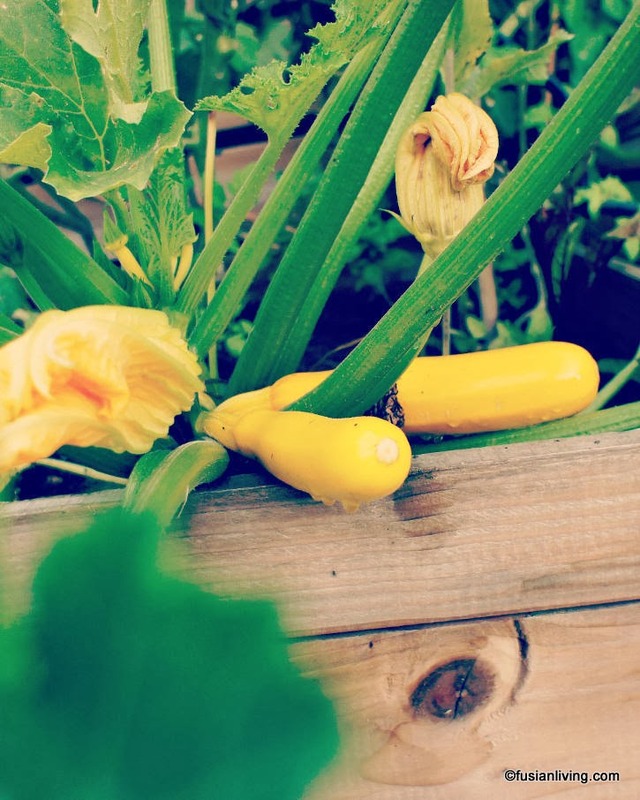 There is only one courgette plant this year, our winter weather stretched on into May and the freezing temperatures made it difficult for the young seedlings to thrive. Eventually, all but one perished, but it was perhaps my fault for putting them out too early. 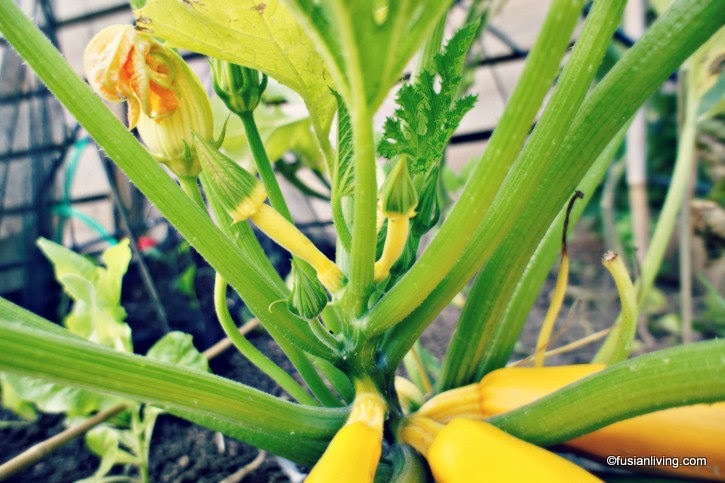 No matter though, as courgettes are among the most productive vegetables there are, and one plant will produce more than enough for the two of us. When they first emerge, the immature fruit are tiny with a golden blossom attached at the end. In no time at all, though, you will hardly recognise them, as the sun and water do wonders, causing them to grow and swell, at what seems like an exponential rate. I pick some while they are small, and others, I leave on the plant for a little longer, because I like large, fat courgettes for dicing up into rounds and adding to stir-fries, or cutting them lengthways and grilling them on the barbecue. Just a few years ago, I would have referred to these as "zucchini", as you do in Australia, but I am now getting used to the fact that in England, they are called courgettes. The weather and rain, on the other hand, might just take a little longer to get used to.